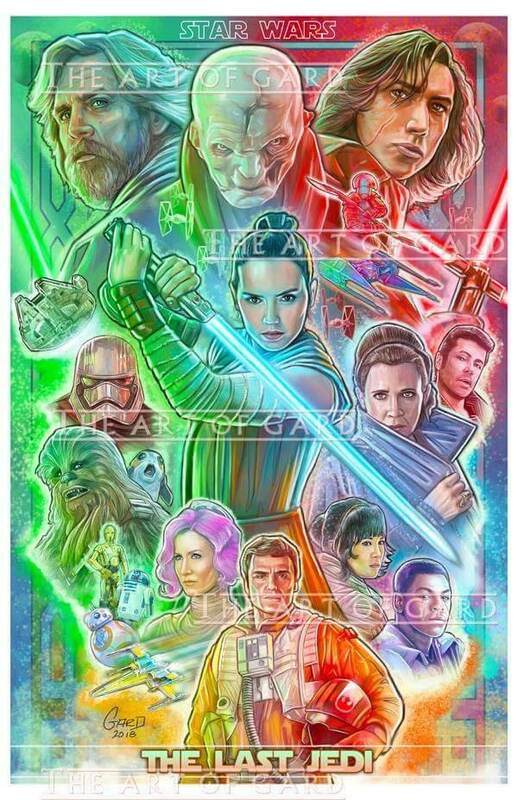 The Last Jedi collage art print with all your favorite characters from the movie. Available in 11X17 and 13X19. 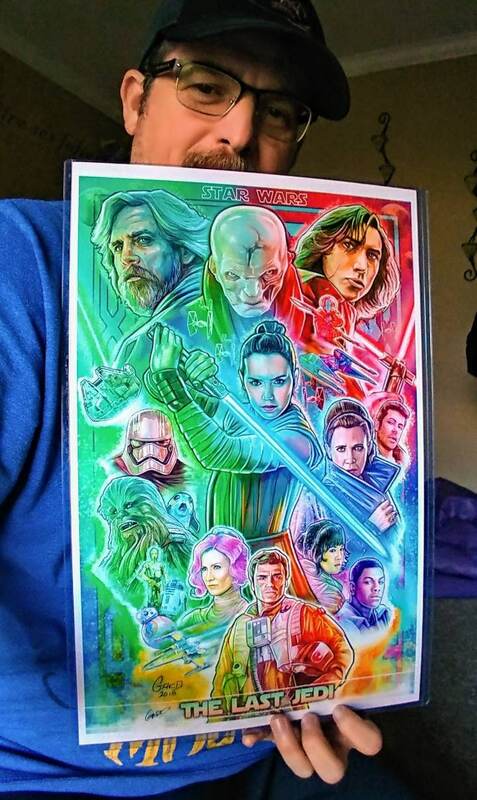 This high quality art print will be signed by me (the artist) and shipped with a backing board and clear bag.